Ever had a shopping cart where one wheel isn’t spinning properly? It’s binding every now and then. Imagine it being the one closest to your right hand as you push the shopping cart. What’s going to happen? As you fight with the cart, you’ll notice that it tends to veer right. That right wheel closest to you almost feels like it’s clamped down, causing the other wheels to go around it. Ah… This is exactly what happens with some of the modern vehicle safety controls. Let’s say you’re going into a turn too fast. You’re cranking the steering wheel as much as possible and the car isn’t quite making the turn! The 2016 Nissan Maxima has an Active Trace Control technology that applies braking to an individual wheel to compensate for your misjudgement and help you make that turn. Now, this technology is on many other vehicles but I did get to test out this feature on a track with Nissan Canada. Let me tell you, there’s nothing like trying to lose control of a car on purpose to see how systems kick in! It's a good thing we were on a closed course; I held back on the curse words with the camera pointing right at me – and thank goodness I didn’t have to repair any of these vehicles! What impressed me with the 2016 Nissan Maxima is how much information your car is getting about your driving style. So while you’re driving along and humming to your favourite tune, the vehicle’s computer is calculating the angle of your steering wheel, how much acceleration you’re applying, vehicle speed, how much braking you’re doing, etc. It takes all of this info and uses it to help you maintain control of the car. Another technology in the Nissan Maxima is the Active Engine Brake. When you come into a turn you typically have to slow the vehicle down a bit at the beginning of the turn. Active engine brake changes the gear ratio in the transmission (specifically, Nissan’s CVT – Continuously Variable Transmission) to help slow the car down. Anyone who’s driven a manual transmission or been a passenger with someone starting learn will know the feeling of engine brake – you can slow the car down without having to apply the brakes. The advantage to this technology is that less effort is required when you have the engine doing some of the slowing down for you. Studies have shown that when we’re tired or drowsy, we tend to have less frequent steering input. Now your car can suggest to you when it might be time for a coffee break! This is one way Nissan has decided to help drivers minimize fatigued driving. Yep, I tried minimizing my steering inputs during my road test and sure enough, I got the sign to stop for a break. I wasn't drowsy but it was still a good reason for me to make a detour to Starbucks! The next time you fight with that stubborn shopping cart, remember that when it comes to your car that’s the kind of technology that helps you maintain control on the road! Find out the only secret to maintaining your car, and speaking of steering inputs... don't try this kind of dry rub on your car! 2015 Holiday Season Disney Toy Preview! The holiday season is sneaking up on us! If you're anything like us, we had never heard of Tsum Tsum before! 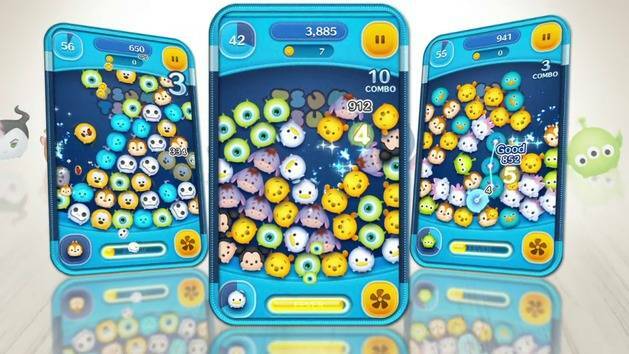 Tsum Tsum (translated to “Stack Stack”) is all the rage in Japan as an online app. The game is a Connect 4 meets Disney characters – a series of Disney characters fill the screen, and players must use their finger to connect 3 or more of the same character within 1 minute. With each level, new characters are added, and when more are joined together, new tricks are revealed. The app is available for Android and Apple – we made sure to do our in-depth research of the game as well. 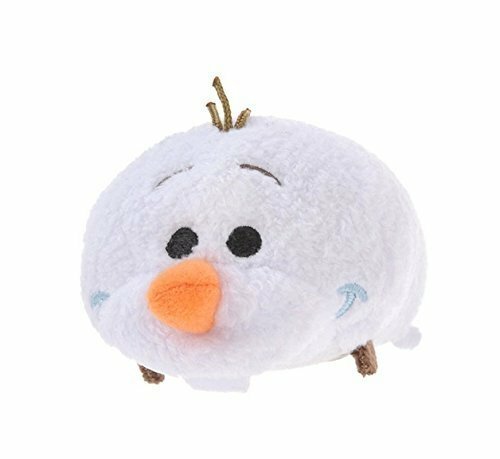 Due to the crazy popularity of this game, Disney has been steadily releasing the physical plush toys of these Tsum Tsum characters. In preparation for the holiday season, the Olaf bag will contain four Tsum Tsums: Anna, Elsa, Sven and Snowgie. Why I love this? By bringing the online app to real life, it has opened up the ages this toy can be intended for. Children love plush toys, and by basing these characters off the app, it will allow younger children to recreate the game without using a device. The Tsum Tsums come in three different sizes, similar to the game. Already available on the DisneyStore.com are a variety of Disney characters: Mickey & Minnie and Friends, Winnie the Pooh, Monsters Inc., Toy Story, Chip & Dale, and Dumbo. On the first of Tuesday of every month, new characters are to be released. This Japanese craze is sure to be taking Disney Frozen lovers by storm!! Why I love this? Besides the amazing technology that is behind this design, it is more than just a video game. This interactive game allows children to be active and still use an app to track their stats and battles. We got the chance to get a behind the scenes demo and we were definitely impressed! Players will have to learn a series of different “moves” for defense and offense against their opponents. In true Disney fashion, no stone goes unturned – creators have made numerous online videos that provide more background story to why Ultron, Loki, and Iron Skull are terrorizing Earth. The online videos also teach the players how to use their new defense weapons (all while staying in character of course). 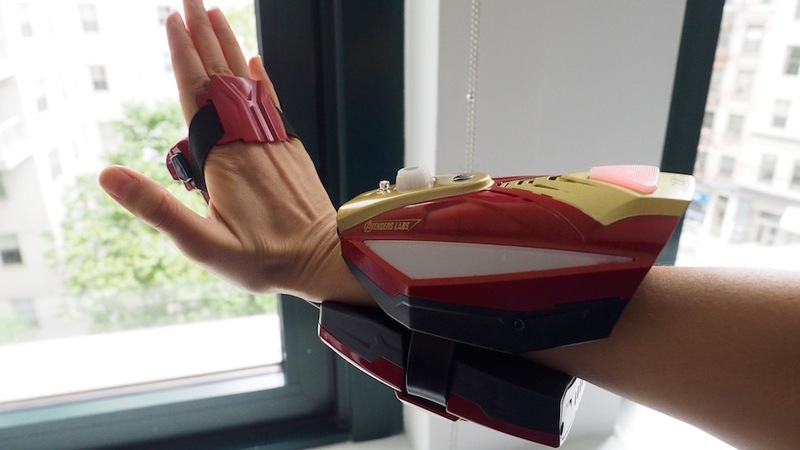 The Playmation Starter pack comes with a Repulsor Gear, worn on your arm and similar to that of Iron Man’s which emits the superpower to defeat your enemy. Armed with motion-sensing technology, you can block, dodge, run, and jump and the Repulsor Gear will detect every movement. Included in the starter pack is a Power Activator that will bring heroes and villains to life in the game. Players will learn that depending on the light of the Activator, they can detect if they are being fired at or close to defeating their opponent. The kid inside us loved that when a villain was defeated the Power Activator actually jolted the character off the base – victory! There is the option of using this Activator as another components when playing two-player. Yes – you read right, there is the option for multiple players! Players can unlock new abilities and skills through training sessions or by battling different characters. Additional “Smart Figures” are available for the Heroes and Villains, which allows you to create your own team or build an army of villains. Additional characters include Black Widow, Thor, Falcon, M.O.D.O.K., and Ultron. Disney’s Playmation is available for pre-order, and ready to own at the beginning of October. This toy is intended for ages 6+. Disney’s Cars was a huge success and children everywhere began collecting the toy cars and racing them around their homes. Disney has now released a free app that allows kids to scan their die-cast cars into the app, and proceed to race various tracks with them. This app brings all of their toys to life in this game-changing concept. Race tracks can be customized and cars will be able to do jaw-dropping flips, turns, and jumps. There are over 160 compatible cars, meaning that players can keep growing their roster. Some of these cars are only available through app purchases. Why I love this? While we’re not crazy about turning a hands-on game into a touch screen mobile app (we’re all for physical play for children) – we must admit that we appreciate this Disney app gives kids something ‘new’ to do with existing toys. We are also impressed with the toy meets video-game approach. There's less to pack when you've got an iPad or Smartphone versus a bag full of race cars and plastic race tracks while on-the-go. The Daredevil Garage app allows children to create individualized race tracks, and bring their imagination to life by seeing their favourite cars perform a stunt they created! We’ve all seen kids physically flipping cars through loops, but now they will be able to visually see the cars perform these tasks seamlessly. The app has challenges that players have to work through and eventually receive points to be rated. Each car has different features that allow them to race differently, keeping this new and fresh for the players. The app is free, but there are in-app purchases available including new tracks that are steadily being released. Disney has earned an astonishing reputation by staying at the top of their game with creativity and practicality. These new releases are sure to keep kids entertained for months passed the holidays and have parents happy with their decisions. The concepts are new and ever changing just as we are, and especially kids. The holiday season sneaks up on even the most prepared of us - happy shopping! Do you ever hear a song that just throws you back down memory lane to your fave dance club? Or see a comeback toy that reminds you of your childhood? You know… back to the days when I didn’t have a mortgage or kids’ school lunches to prepare! There are few icons in the automotive industry that will trigger a memory of sunshine and open roads – one of my favourites… the Ford Mustang. The Ford Mustang turned 50 years old this year – few manufacturers make it this long running one nameplate. Now in its sixth generation, a few changes were made to the body, but what I loved is that it still had an old-school feel. Sometimes a re-designed vehicle just doesn’t hit the mark, like an awful sequel to a great movie. Not so with the 2015 Ford Mustang. Here’s why I love the new generation. Seriously, just hearing the engine idle makes me smile! The familiar lumpy sound at idle… music to my ears. I road-tested the Mustang GT with a V8 5.0L engine that was definitely not shy about giving me power when I needed it. This engine delivers 435 horsepower and 400 lb-ft of torque! I was surprised at how quiet the engine was though once I reached a coasting speed, conversations in the car were still possible. This isn’t a novice performance car where the exhaust noise is so loud it’s annoying… you know, the ones where you think the driver’s making up for something they don’t have! The 2015 Ford Mustang has 4 engine sizes for you to choose from including a 2.3L EcoBoost engine. The GT model I tested came with Recaro seats, which added to the sporty feel, as well as performance features such as Launch Control and Electronic Line-Lock in case I wanted to test it out on the track. There’s no doubt about it, the exterior design of the 2015 Ford Mustang is definitely reminiscent of the 70’s muscle car era with its long hood, wider body, and aggressive stance. Also a nod to its very first generation are the three gills in the front headlamp, illuminated with LED. In the original 1965 Ford Mustang, three gills were molded into the headlamp buckets. The 2015 Ford Mustang kept its tri-bar tail lamps, a move that has grown on me as I didn’t really like the design in previous generations. Okay, I might be biased, but I swear that when you put the turn signal on, the clicking noise is syncopated, and it sounds like a horse’s gallop! Call me crazy! Having road-tested numerous vehicles, sometimes I come across a design where the exterior is beautifully done, but the interior design was forgotten (or vice versa). The interior of the Ford Mustang is what I was hoping for: refined but bold, practical and functional. Let’s be honest, this is a performance car. Not a luxury touring vehicle. I was happy that although possible, the interior wasn’t cluttered with technology. According to Ford, the interior design was based on the cockpit of an airplane. The dash is reminiscent of an airplane wing, and toggle switches are the feature of the centre console. It even has the speedometer measuring ‘groundspeed’! There are analog gauges galore (my personal fave), and for the performance-savvy, gauges located in the centre console give you readings on oil pressure and engine vacuum. Additional info is available through the driver's cluster including air/fuel ratio and cylinder head temperature. Most importantly, the centre console was well laid out, uncluttered, and within easy reach while driving. While this is a performance car, it doesn’t completely throw out practicality. The Ford Mustang is a 4-seater, and being a Child Car Seat Technician, you bet I installed a child car seat just to test it out! The rear seats have a large bucket, so you’ll definitely need to use pool noodles to get the correct recline angle on a rear-facing child car seat… also count on losing the front passenger seat space if you install a rear-facing child car seat. With respect to forward-facing seats, you may have some issue if the child car seat has a wide base (our Graco booster did just fine). So while the Ford Mustang isn’t the best fit for child car seats, it’s possible to bring young kids when needed. The rear seatbelts come right over the seatback so they will fit snugly over the passenger’s shoulder. To be honest, it’s not the most comfortable ride for adult passengers in the rear, but honestly, none of my passengers were complaining about it! Another practical part to the Ford Mustang is the trunk space. We dropped off our boys to an overnight summer camp, and we fit all their gear in the trunk just fine. There is no shortage of the Mustang badge – I counted a total of 9 including the floor mats, key fob and exterior illumination on the ground at night. The Ford Mustang is undoubtedly an icon in our industry and it’s one of my all-time favourite vehicles. The 2016 Ford Mustang is now available starting at $25,399 CAD. Got a new car and want ideas on where to go? Check out Robin Esrock’s Great Canadian Bucket List. Oh ya, and bet you didn’t know Ford’s using wheat straw, sweet potato, and coconuts in their vehicles! Find out how what’s behind their eco-friendly drive.